Losing a job can knock your confidence and put you in a situation of doubt and uncertainty. How can I recover from this? How quickly will I find a new job? Who will want to hire me? Should I look for a new career? Asking yourself these questions is a natural response when faced with looking for a new job, but what you are feeling right now should not hold you back. Here are some great tips to help you stay positive and get back on track as quickly as possible. You will obviously be feeling a full range of emotions after being let go – from anger to disappointment, from pressure to a lack of confidence. All of this is completely natural and understandable, and taking a day or so to collect yourself may be a good idea during this period. However, don’t leave it too long as one of the best ways to overcome losing a job is to focus on the future! Your instinct will tell you that you should hide your layoff from everyone, but in most cases this will make your search for a new job or career much harder. Word of mouth can be the foundation of a great career, and as well all know it is typically who you know rather than what you know! Don’t be afraid to tell everyone you are out of work, as your pride is not important at this stage. You’d be surprised to find out how many people offer their support and start to cast the net when they learn of your situation. Think about how many people you are in contact with through social media, or how many people you might see on a daily basis who may just be able to help you find an opportunity. When it comes to social media for example, you may be able to reach out to hundreds of people at the touch of a button, and it only takes one person to get you a foot in the right door. Read our guide to networking for more ideas. Volunteering whilst between jobs can help keep your mind active and ensure you don’t have gaps in your CV. During your search for a job you need to remain busy, and there are lots of ways you can do that which not only keep your mind active, but could also benefit your chances of getting a job. Having a gap in your employment can be difficult to explain on your CV, so having no gap at all is the best way to overcome this. 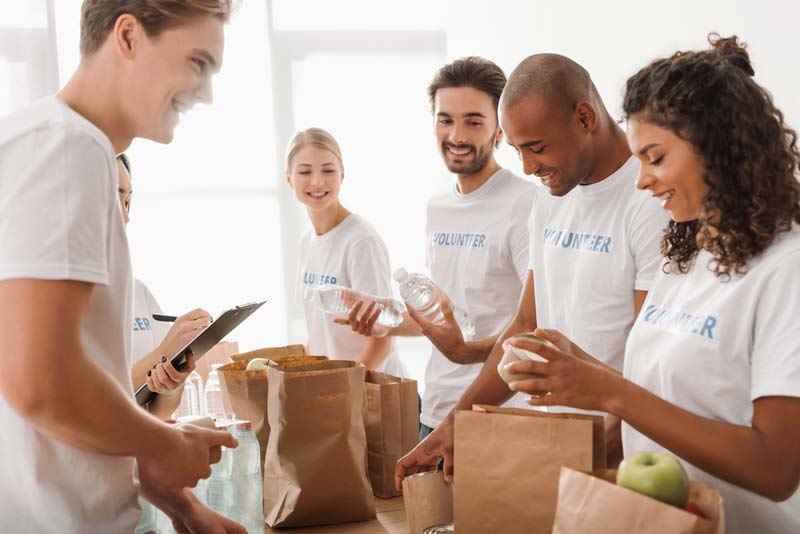 Voluntary work for example is still work at the end of the day, so why not volunteer at your local charity or country park and gain some new skills and experience. You could also consider enrolling on a course to gain new skills, which could open up new possibilities in your search for a job. Is your CV looking a little old and outdated? Now is as good a time as any to kick-start your career with a fresh CV. One of the biggest mistakes you can make when looking for a new job is sending out a CV which was created years ago using an old template, so why not start again and make sure your CV stands out from the crowd. The Curriculum Vitae as come a long way in the past 5 years, and with social media being a huge part of every day life it’s easy to fall behind your competition if you don’t keep your eye on the ball. With the vast array of CV templates free to choose from on the internet, you will have no problem in finding the right one for you. Using a CV template is pretty much the norm nowadays, and gone are the days of having to create our own with very little guidance and know-how. Countless hours are wasted tinkering around with margins and spacing, and deciding upon the layout and font to use. 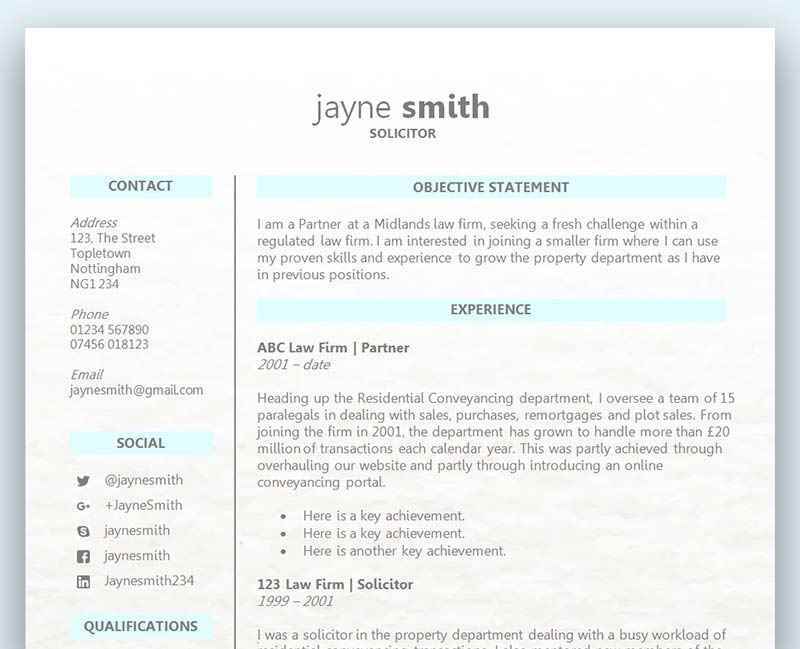 This wasted time is better spent on the quality and content of your information, and a ready-made CV template gives you the layout, allowing you to focus on what matters.